Markides’ previous book, “The Mountain of Silence” (2001), was read eagerly by those interested in Orthodox spirituality, chiefly because he had faithfully transcribed taped conversations with a monk trained on Mt. Athos, Father Maximos. Though Markides himself seemed not wholly on board with small-o orthodox Christianity, he was obviously fascinated by it, and Fr. Maximos’ verbatim teachings were worth more than the price of admission. That’s why fans of “Mountain of Silence” have been looking forward to “Gifts of the Desert.” But a friend who read an early copy told me, “Somehow, it’s pretty dry.” It took me half the book to figure out what’s causing this dryness: it’s that Jesus is missing. The person who says, “I like Jesus, but I have no use for the church” is a cliché, but Markides is the opposite. He stands in awe of the Church (which he always calls by the Greek term, Ecclesia), but has no interest in Jesus…. But one of Markides’ chief concerns is to make the Orthodox way of spiritual transformation available to those who “are not necessarily Orthodox or even Christian.” Follow his train of thought as he presents his five “assumptions” to Fr. Maximos: “The world of the five senses is not the only world there is…Other [hierarchically arranged] worlds exist that interpenetrate our own…[T]he various worlds are in ongoing communication with one another…[W]e as a species and as individuals are never alone…[T]he world is utterly meaningful.” An orthodox Christian might scratch his head, but conclude that, if he means what you think he means, you’re probably both on the same track. I feel much the same way when I encounter a particular kind of rhetoric about Orthodoxy in the English-speaking world, especially on the Internet. Mind you, most of it would never explicitly envision Orthodoxy without Christianity or a Church without Christ. But there is often an implicit sense that this really is so. There seems to be an “Orthodoxy” without Christ, an “Orthodoxy” that preaches the liturgical services, the Fathers, the Ecumenical Councils, the canons, etc., but doesn’t preach the Gospel or the Scriptures except by lip service. I cannot regard such a Christless “Orthodoxy” as actually Orthodox. It just wears the label of Orthodoxy and perhaps includes people who are formally members of the Church. I can always tell this Christless “Orthodoxy” is lurking when someone emphasizes preaching Christ, especially when they also add that preaching Christ does not mean preaching fasting, feast days, canons, etc., and the reaction is this: Ah-ha! A distinction is being made! That must mean that Christ is being opposed to fasting, Holy Tradition, etc.! But it doesn’t mean that. It means that we have to look at what the Apostles actually preached. They did not preach what might be termed “church life.” They preached Christ crucified and risen from the dead, that we should therefore repent and be baptized into Christ. That is their public proclamation of the Gospel, their kerygma. That is what is supposed to be preached. When the Lord gave the Great Commission, He gave four commands: 1) Go into all the world and 2) preach the Gospel to every creature, 3) baptizing them in the Name of the Father and of the Son and of the Holy Spirit, and 4) teaching them to do all that He had commanded. These are not all the same thing. Preaching the Gospel is not the same as baptizing, nor is it the same as teaching all the Lord’s commandments. I saw one commenter want to call everything in the Church “the Gospel,” including relics. But that only works as a sort of metaphor, not as a precise action. Can you hand someone a relic and say, “There, I have preached the Gospel”? Or can you teach them about fasting and say, “There, I have preached the Gospel”? And whenever I see the Gospel metaphorized like that without explicitly including speaking actual words conveying the actual good news, I know that the Gospel has been turned into a metaphor that means everything but actual good news. It may be good, but the “news” has been lost somewhere. I have grown very much to dislike that saying, because it’s being used by many to mean, “Don’t go and preach the Gospel. Go live a good life and mind your own business. Maybe someone will ask you about it.” Yes, of course, our lives ought to reflect our belief in the Gospel, but we cannot leave that belief wordless. Preaching is fundamentally about language. You don’t see the Apostles going into all the world and setting a good example and hoping that maybe someone will ask about Jesus. If your model of evangelism precludes what the Apostles did, then your model of evangelism has a problem. The Apostles preached the kerygma, which is Christ, the good news of His conquest of the kingdoms of this world and His rescue of His people from death and corruption. In preaching the Gospel, these things cannot be implied. They have to be spoken directly. (I would love it if we could say “explied.”) If we preach “Orthodoxy” as some sort of brand label rather than preaching Christ as the One Who makes Orthodoxy have its meaning, then we are doing it wrong. True Orthodoxy is not a brand or a label. True Orthodoxy is to know Christ. When we preach Christ, we are not trying to get people to join our club. We are trying to connect them to Christ. Some may regard this approach as Protestant somehow, that we’re “leaving out” the Church in our preaching and setting up an individualized salvation. But it’s not. Or, if it is, then the Apostles are also guilty of that. But they’re not. No, this approach is to put what should be first actually to be first. There is an order to these things. We preach Christ, and if someone is converted, then all these other things will make sense and will develop their spiritual lives to move beyond the initial conversion to the deepening transformation. If we teach someone how to make the sign of the cross but never tell them what happened on the Cross, then we have a problem. If we preach what happened on the Cross but don’t happen to mention making the sign of the cross, there isn’t a problem. Learning the sign of the cross can come later as part of what it means to live out all that Jesus commanded. Making Christ the subject of our preaching does not by any means neglect all the indispensable elements of Holy Tradition—rather, it is to say the same things that all the Apostles and Fathers have always been saying: know Christ. This is what salvation is, according to the words of Jesus Himself (John 17:3). When Jesus says that eternal life is to know God but doesn’t mention all the particulars of Church life, He isn’t placing them in opposition to that knowledge of God. He is instead focusing on what all those things are actually about. He is pointing directly to the center of the circle, pointing to what everything else points to. Is there such a thing as Christless “Orthodoxy”? There is, though of course it isn’t actually Orthodoxy. It just wears the label. 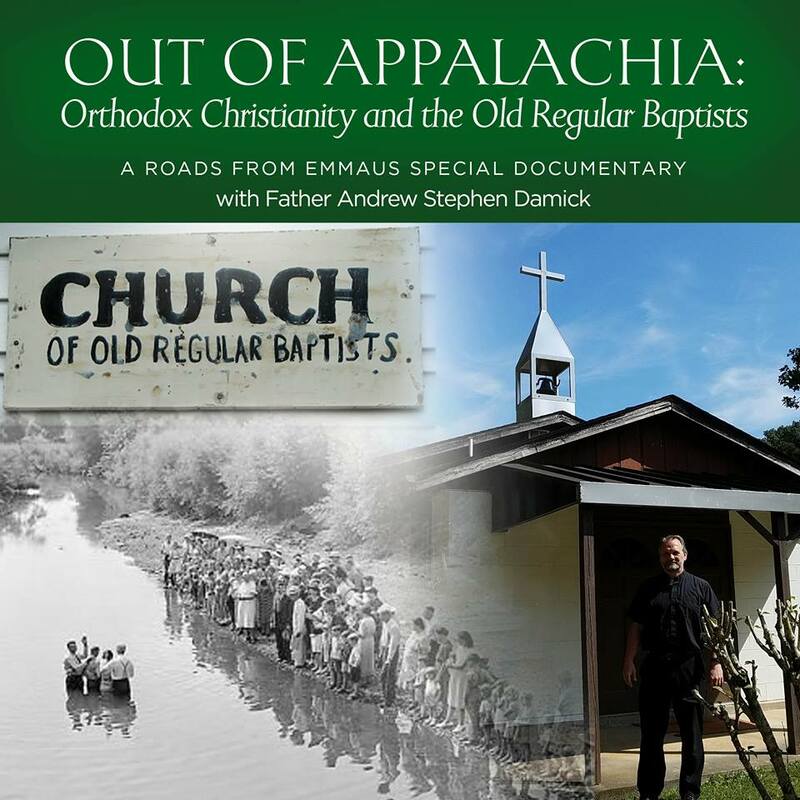 How can one recognize Christless “Orthodoxy”? It does not preach Christ but instead preaches all the things that have their purpose in directing one to Christ. This is actually a form of idolatry—worshiping the creation rather than the Creator. But pointing to the Creator does not negate the creation. Instead, it gives it its true meaning. We point to the Creator, and then the creation makes sense. We preach Christ, and then all of Holy Tradition makes sense. How can one recognize Christless “Orthodoxy”? It has no joy. It tears down rather than builds up. It makes “holy tradition” (that is, a false image of Holy Tradition) into a demanding idol rather than a path to redemption. I think sometimes that there is a kind of fear that preaching Christ will somehow “leave out” all the normative elements of Church life. But it doesn’t. It didn’t in the New Testament, and it won’t now. It simply puts what should be first in first place. So, no, we do not preach Orthodoxy. We preach Christ. Orthodoxy is about Christ, but it is not Christ. Such an approach leaves nothing of Holy Tradition behind. Indeed, it is the only way really to follow it. What about the Church? Do we not preach the Church? No, we don’t preach the Church. Did the Apostles? The Church has an intimate union with Christ, so preaching Christ connects someone to the Church, but preaching the Church does not connect someone to Christ. When you meet someone and want to interact with him, you look at his head. The same goes for Christ. The Church is indeed the “whole Christ, Head and Body” (in the famous phrase of St. Augustine), but Christ is not indistinguishable from His Body, and His Body is not the subject of the apostolic preaching. If preaching Christ crucified was folly to the Greeks and a stumblingblock to Jews, then I think it is both folly and stumblingblock to those who prefer a Christless “Orthodoxy,” and it is also something more—a threat. Why? Because the Enemy would love for us to be so filled up with the details of church life that we lose track of the One Whom that life is supposed to point to. He would love for us to be so convinced that the Gospel is such an obvious part of church life that we don’t actually have to preach the good news. To whom is preaching Christ a threat? It is a threat to His enemy and a threat to death. Again, we have to keep asking: What is the actual content of the apostolic preaching? That’s identifiable, and it’s what the subject of my previous post was. Identifying that content and then preaching that content does not leave anything else behind. But it does place the Gospel out front. And yes, this thing we call the Orthodox Church does have a front. It also has a head. And that Head is Christ. If our evangelism could be summarized as “Join the Orthodox Church because Orthodoxy is the best,” then what we’re doing is not evangelism but sectarian recruitment. If our evangelism could be summarized as “Jesus Christ is the resurrection and the life,” then the unique authenticity of the Orthodox Church as the one, holy, catholic and apostolic Church will become apparent as that message unfolds. A lot of people didn’t get this post when I wrote it in 2015, perhaps because I wasn’t communicating clearly. Some comments I saw seem to think that preaching “Orthodoxy” is identical with preaching Christ. But if Jesus, Who He is, and His presence do not shine forth in such preaching, then it’s neither Orthodoxy nor Christ that is being preached, but a false image. It is not actually Orthodoxy that is being preached but something else. Preach Christ first and always. Follow up with all the details of Church life when it is appropriate to teach them. Why? Because that’s what Jesus and the Apostles and the Fathers did. I have a related practical question for you Fr. Andrew. One thing I struggle with in my conversations with people outside of the Orthodox faith is how to make the connection between Christ and his Church in explaining what the Church is. Whenever someone asks me “What is Orthodoxy?” or “What is the Church?” I want to make an immediate connection between what the Church is and how it helps bring us to Christ. I struggle answering this question and I can never find the right words. Do you have any suggestions on how to make it clear to others outside the faith that the Church of Christ exists to bring men into contact with God? To give you some context for these conversations: they are generally short, on the bus, and people from various backgrounds tend to ask at some point. With a variety of people with various backgrounds and such a short time I always struggle with what to say. The topic of faith generally comes up naturally when talking with people and I don’t want to spoil what little time i might have giving a history lesson when the soil is broken to plant a Gospel seed. “What do I say when…?” questions are deeply contextual, so I’m not sure I have an answer for you. But I will at least say that my own response to questions like that is to tell as much as I can of the story that begins with the coming of Jesus and His creation of the community around Him. From there, one can mention how it is that there isn’t just one body claiming to be the Church. I apologize for not being able to provide a greater context, there are so many different contexts where this has come up. General guiding principles, like what you offered, were what I am looking for. I love this post, Father. It expresses something I often feel but have been unable to articulate. I think it also explains why we orthodox are often so ineffectual at evangelism. We get the cart before the course. We need to preach Christ and then invite people into the church. Thank you. Metropolitan Kallistos Ware once said in a lecture that I heard, the Christian life consists of believing, then entering into the Body of Christ. Only afterwards does the process of transformation begin, where all the other things come into play. I have taken this teaching, and summed it up with three words: Believing, Belonging, and Becoming. This is what I believe we are called to as Orthodox Christians. Wonderful! And that’s exactly the process one sees in evangelistic narrative in the Scriptures, too. Wonderful focus, Father! Many thanks! I know you received some criticism for your recent article but it is something I’ve noticed as a new convert. Orthodox Christians, particularly converts, spend a LOT of time talking about being Orthodox but very little time about how that has affected them spiritually. Lots of conversion stories, very few transformation stories. Lots of apostolic succession and other “I’m in the True Church” affirmations but little about how they have drawn closer to God and their fellows since entering it. Just what does having “the fullness of the Christian Faith” mean if not communion with God and others within the Body of Christ, and how this spills over into the world? These testimonies should bubble out of excited, grateful followers of Christ — there would be no way to stop it. I want Orthodoxy to be more than an identity or a label. I want Christ. If Christ were a kangaroo I’d want to be sitting right in His pocket. Are there books and FB groups that talk about these things and I’m just not finding them? There is also a particular variety of self-described “traditionalist” which majors in all the minors and often forgets the weightier matters of the law — justice, mercy and love. And often Christ, sad to say. By doing that, they do not actually keep Holy Tradition. Anyway, there are conversion testimonials out there, though most converts to Orthodoxy in the English-speaking world are those who already had knowledge of Christ before they came to Orthodoxy. Thus, there is less likely to be a big life-turn-around experience involved. Orthodoxy also doesn’t have the “testimony” culture of some sectors of Protestantism, so that will also make these stories less accessible. My best suggestion in searching for these testimonies, though, is not to go looking for them online. One I’m particularly enjoying right now, though, is Rod Dreher’s How Dante Can Save Your Life, which is a story of personal transformation, encounter with Christ and discovery of the love of God. Great book. Amen! We stand firmly with you on this Fr. Andrew. Thanks for making it crystal clear. Yeah, I don’t recommend The Mountain of Silence for that reason. I haven’t read his other books. There’s a lot that’s good in TMoS, but there is a big piece missing. What’s good about it, though, is the verbatim quotes from “Fr. Maximos” (Metr. Athanasius of Limassol). I think a lot of the “major in the minors” guys love the comprehensiveness and theological certainty of the Tradition. I understand that and am very sympathetic to it. The world is a confused mess and coming out of it is often arduous, painful, and hard won. They found the lifeboat. I am patient with them. They will come to see though that what vivifies the Tradition is Christ. It’s the living relationship with the living God that gives the Tradition is meaning and power. That’s what the Tradition is: The experience of the people of God who embraced the Gospel of Jesus Christ and stood in it. This means that not only does the Gospel constitute the Church, it also reconstitutes it – again, and again, and again. The Tradition itself affirms this point. Why process with the Book of the Gospels in every Liturgy? If the Tradition were itself sufficient, why not process with, say, the writings of St. Chrysostom or Basil? Or why keep the Gospel on the Altar? Why wouldn’t Rudder or the Pentacostarian do? And, why does the Antimension get unfolded only after the Gospel is read and the sermon preached? Why not have Communion first and then a discussion? It certainly would be more efficient. And why does the Gospel cover the Antimension when it is folded? Why doesn’t the folded Antimension cover the Gospel? To all priests: Want to renew your parish? Preach the Gospel. Give sermons that explain the readings in rock bottom simple terms. No pep talks. No scoldings. No “topical” sermons. Just the reading of the day explained in a real way that real people understand. When the Gospel is preached, Christ is revealed. Living water nourishes parched souls. You won’t see it necessarily but don’t worry about that. God saves, not you. You deliver the living water through your words, but only when your words conform to the words of the Apostle — the Gospel of Jesus Christ. They will come back. Some will be transformed. Yes, it is that powerful. I would add for priests to start seeing themselves as ministers of the Gospel and not as the gate keepers to Christ. Also these new three- year- wonder firebrand seminary graduates should be reminded not to let their orthodoxy get in the way of actually being Orthodox. I think your comments are warranted and should be appreciated. They are by me. Thank you for writing this and your previous article about Orthodox Christians understanding the gospel. I converted in December of 2013. I’ve been frustrated because my previous experiences in Protestant churches were highly evangelistic and encouraged discipleship. The Faith was expected to apply to all areas of life. I was highly disappointed that the True Church does not have this attitude in some places. The Great Commission seems to be ignored in Orthodoxy. As I told an Orthodox priest on my Facebook timeline, if I had waited for the Orthodox to evangelize me, I would still be an unbeliever. I am grateful for the Presbyterians who shared the gospel with me, informed me who Jesus Christ is, and why He came to save us from our sins. Reading this and the other article renews my hope for a vibrant and active Church that ministers to all people in both word and deed. Thank you again for writing it. Thank you for that post. I’m a fairly recently baptized member of ROCOR, and my wife just “converted” (for lack of a better term) from Catholicism this past summer. I understand, as some have said above, the desire and zeal of the recent converts to preach Orthodoxy rather than Christ. I, for one, am guilty of this. I’m very happy to have stumbled upon your post. I spoke with a priest recently about this very issue, but I think you’ve given me a better context to think about it, so that when I discuss it again, I’ll have some clearer references to what I was trying to get at. I appreciate you putting this out there, and I know that I (and I am sure others) will re-examine their lives and their focus on Christ from reading this. In the world of Orthodoxy amongst Ethiopians, we say to the preacher, when he has finished feeding us, “may He permit you to hear His word of life (life-giving message) and inherit the kingdom of the heavens”. I now relay this tradition to you in response to the good news you fed me. I’ve found the fullness of the gospel manifested most in the orthodox tradition. Having been in the protestant framework for most of my life, I find the limits of Orthodoxy much preferred to the limits of protestantism. The icons are wonderful reminders – more than reminders of the “real” thing. Glory to Jesus Christ! In the name of the Father, and the Son and the Holy Spirit. Father, I think you are right on in many areas. However just a comment or three on Kyriakos Markides. I have interviewed him twice. We have spoken at length. I know from my conversations with him that he is truly Christian and believes in the primacy of Christ. However as he told me, his primary interest – his ministry if you like – is to be a “bridge” to Christianity for people in Eastern religion, New Age and TM’ers. I believe it is his approach that may be mistaken for his failure to “preach the gospel”, as you lay out in your piece. I think his “approach” is akin to that of St Justin Martyr’s “Logos Spermatikos”, based on John 1: “the true Light which gives light to every man coming into the world”. People from these movements do not resonate with a hammer-like Christian apologist approach (nor do an increasing percentage of “nones”). They are “spiritually” inclined but not (often) ready to be told there is no “light” anywhere other than Christ or Christianity. So I think Markides’ goal is to show these seekers there is spiritual depth and experience in Orthodox Christianity that many of these people have never seen nor heard from Western Christian apologetics. Frankly if I were discussing Orthodoxy with Hindus or Buddhists -which I have – my approach would likewise be to emphasize the spiritual experiences of the great saints and hesychasts and make sure they realize that Christ opened the door to “transfiguration” for us. Yes this is a different approach to preaching the Gospel than the standard approach of emphasizing the Cross, death and resurrection and so on; however I think in this no-longer-Christian-era we live in we need to find alternative ways to preach the “good news”. For eastern seekers, that is: theosis, transformation, and spiritual experience. Having read Justin Martyr, he doesn’t shy away from preaching Jesus. Everything I’ve read from Markides suggests that he does. Perhaps he is different when he isn’t writing. However, I think the way you presented the quotes about Kyriakos Markides was uncharitable to him as both a person & an author. He & his wife, Emily, are my youngest daughter’s godparents. They are our friends, neighbors & fellow parishioners, and they are truly wonderful people. Of course, they understand that Christ, the Logos, is at the center of ALL things. Anyone can pick up a copy of the Gospels, since they are ubiquitous at this point. Kyriacos’ goal was not to “preach the Gospel” per se, but rather to introduce unfamiliar people to Orthodox spirituality, which is designed to lead people into union with Christ…duh! (Forgive me for that zinger.) The asceticism & spirituality are the pragmatic aspects of Orthodoxy that allow us to live the Gospel & thus enter the very kingdom of heaven. His books have reached many people who are not “on fire for Jesus”. In fact, my wife, who was educated in a basically areligious home & in the contemporary western social science perspective found his books EXTREMELY helpful in making Christ & Orthodoxy intelligible & palatable after being turned off to “Jesus” by the midwestern evangelicals that she grew up with. We read his books long before we met him & Emily, and knowing them personally only confirms their love for Christ & His cosmos & His Church. Your inclusion of these critical & deconstructionist quotes without any attempt to balance them doesn’t seem very useful (or civil) in my opinion. After all, he’s a real person. I don’t meant to rant, it’s just that I found the references to him insensitive (and inaccruate). I know Kyriacos wouldn’t care, but I was hurt for him. I think we need to give the man a break; a little more thanks & a little less criticism seems like the Christian thing to do. He’s your friend, and I get that. I don’t know him, and I know it’s not fun to read criticism that concerns someone you care about. But I stand by these criticisms of what he’s written. I think it’s a big problem, introducing people to an Orthodoxy that isn’t explicitly about Christ. I read “The Mountain of Silence,” and it bugged me the whole way through, so much that I didn’t want to read his other books and won’t recommend his work. Whatever he may be like in person, I think there are problems with what he writes. I’m not saying anything about who he is. If there is a discrepancy between the two, I’m not sure how to address that. What gets published represents his choices. And, FWIW, whatever criticisms one might have of Kh. Frederica Mathewes-Greene’s writing, “uncharitable” is not one that makes sense to me. In any event, this post isn’t really about Markides, so even if I could find some quotes positively addressing the lack of focus on Jesus, my aim here wasn’t to give an analysis of his work. It was really just an introductory device for the piece. Fr. Andrew, I know the post isn’t about Kyriacos, but you included a negative quote about him & then criticized his books in your comments, so it isn’t fair to say that my comments are off topic. I’m also aware that this isn’t about what is “fun” to read. Nor is this an entirely personal matter. As Kevin Allen pointed out in his June 8th post Kyriacos’ “indirect” approach is exactly how his books have helped many people open their hearts & minds to Christ & His Church, and I’ve given the example about how his books did this very thing for my own wife – the proof is in the pudding! We encounter Christ in the the Church by engaging in the spiritual traditions (this seems pretty basic to me). Just because Kyricaos’ style is different than yours doesn’t make is appropriate for you to condemn his books as “introducing people to an Orthodoxy that isn’t explicitly about Christ”, which is clearly not the case. I would challenge you to re-read the Mountain of Silence, which makes copious references to Christ as the center of things. St. Paul himself, the patron your parish, said that we need to become all things to all people so that we might win some to Christ. In other words, we need to meet people where they are at. This is what Kyriacos has done for many people. Evangilization isn’t a contest about how many times we can say “Jesus” or use certain Christian buzz-words, which do, in fact, turn may people off immediately. As you know, encountering Christ is a process, and Kyriacos’ books are designed to move certain types of people toward that goal. They are not intended to be start-to-finish evangelization manuals. Furthermore, how does Kyriacos talk “about theosis, transformation and spiritual experience without making it about Jesus”? All these things are inherently Christocentric, and Kyriacos makes that quite clear in this books, which it seems you read with a juandiced eye. Agreeded. Fredrica is the last person on earth who could be called uncharitable, but that’s not what I said. I stand by my assertion that your criticism of his books is unfounded (proof?) & uncharitable in the sense that you used a random quote support your criticism. The fact that you have blog that gets a lot of traffic means (or should mean) that it is incumbent upon you to be at least somewhat scholarly in your posts. Smearing a good man’s noble efforts to point certain people in the direction of Christ by posting a chance quote & adding your “Yeah, that’s right!” is hard to respect. If you are inclined to make these type of criticisms they are alway received better when done an intellectually respectable way. Well, again, the point of the post isn’t reviewing Markides’s work. I did link to Kh. Frederica’s review if they’re interested in her full remarks. That said, I did write a fuller review myself some eight years ago. You can read it here: http://www.amazon.com/gp/customer-reviews/R3DXV7G8B6U7KH/ref=cm_cr_pr_viewpnt?ie=UTF8&ASIN=0385500920 I’m sure you’ll note from the comments that I’m not the only one who feels about the work the way I do. FWIW, I didn’t come to the book with a “jaundiced” eye. (How can you know that about someone? Is it just because I came to different conclusions? But other people have come to those same conclusions.) I had had it recommended to me in glowing terms, and I was very interested in reading it and predisposed toward liking it. But I came away very disappointed and no a little bothered by it. Spiritual experiences, etc., are not inherently Christocentric. Various world religions have them. As far as evangelistic technique is concerned, if you’re at all familiar with anything I’ve said on the subject, I think you’ll know that I agree with you that evangelism shouldn’t be composed of saying “Jesus” over and over or using buzz-words. And that’s certainly not what disappointed me about The Mountain of Silence. You disagree with my criticism, and that’s fine. I don’t mind. But I stand by it. In good conscience, I can affirm that I gave his book a fair shot. I didn’t come in with any agenda. But even though I was disappointed by it, I didn’t “condemn” his work. But I also can’t in good conscience recommend it. This will be my final comment. Thanks for clarifying a few things because that helped lessen the sting a bit. I agree that some of this is a matter of opinion / preference. It is true that not everyone likes Kyriacos’ books (but many do). In that sense my use of the term “jaundiced” without any supporting references to back it up was unfair (judgmental, even), and for that I ask your forgiveness. My point is that if we encounter something that we don’t like or disagree with for one reason or another that as Christians we only have three options: 1) keep silent, 2) express our subjective opinion against it recognizing that there is room for other opinions, or 3) make an objective claim of opposition with sensitivity & scholarship to support it knowing that these elements are necessary given the controversial nature of such an assertion. What I took exception to was that despite Kevin Allen’s comments of support for Kyriacos’ books you contend that Kyriacos was presenting a Chistless Orthodoxy, at worst, or at best, a human-centered spirituality that was then slyly revealed to be Christ-center. To me this clearly seemed like a subjective opinion that didn’t leave room for other views masquerading as rather bold (and offensive) objective assertion presented in an insensitive way & lacking any scholarly support. I think you would agree that that is not a viable option. At any rate, it seems like we would all do well to keep our applicable comments clearly within the above parameters. Plus, I don’t think there is much (if anything) to be gained by picking each other apart like this. Thanks for all your ministering efforts, and I wish you a blessed feast of the Nativity of the Forerunner. I’m not entirely sure what exactly you’re saying in all of this, but I certainly never suggested that mine was the only possible opinion. I actually took Kevin’s comments in much the same vein as yours: He was supplying details from personal interaction that gave a fuller picture of Markides as a person. But the problem is both 1) that I don’t have those interactions and 2) that I wasn’t saying anything about him as a person. I was describing what I read. My lack of recommendation was for a book, not a person. I fully agree that I don’t know him like you do. But I was never presuming to talk about him personally. I also should say that I’m not really on board with presenting Orthodox Christianity with a kind of bait-and-switch, even if it is more approachable for some, because my sense is that, if they don’t want an encounter with Christ to begin with, bringing Him in as a kind of afterthought isn’t going to ground them in Christ, either. In Christianity, everything is Christ. Father I would have to say from personal conversion experience that there are varying ways the Holy Spirit reaches seekers, especially those from eastern non-Christian groups. I heard evangelical preaching and it was a turn off. But in a Hindu ashram, looking at a picture of Christ on the Cross I had an experience of Christ that was like nothing I experienced as a Hindu! We have had three families at our parish that came from Buddhist and Hindu groups. In all cases it was not dogmatics and apologetics that drew them but an experience of the Person of Christ in often non-conventional ways. To become Orthodox they had to learn the truths of our Trinitarian and Christological faith. But had they not had the initial spiritual experience they would never have become catechumens in the first place. My only point is that -IMO – Markides’ books draw eastern seekers to look into the Orthodox faith through the experiential emphasis. Thank you for a fine posting, Fr Andrew. Reading it and the comments, I am reminded of one of the late Fr Hopko’s favorite themes, namely the difference between the message to the world (kerygma) and the internal teachings (mystagogy). The challenge for us is that we are often called upon to defend the mystagogy (e.g. the veneration of Mary) by other Christians. It is important that we explain such beliefs in terms of Christ and not coincidentally that we be sure that the person/people we are talking to believe in the real Christ. For our own people we do well to always connect Church teachings to our Lord in explicit terms. Empty forms will not save, but the forms of our Holy Tradition informed and filled by Christ and His Gospel surely do. I will be sure to share it. Yes!! **Thank you**. This is so important. Aside from commending this brave article, I would like to raise a point. Perhaps this has already been raised, seeing that I was not privileged to see the original comments to your posting. (Or perhaps I was blessed to have missed them?) At any rate your overall challenge seems to be that we should preach Christ first and then to follow with the life of the Church. That we should preach Christ, and that just as salt makes one thirsty, faith in Christ will cause one to thirst for the mysteries of His Church. Of course, this follows the model given to us in scripture of Apostolic era preaching. But I think there is support from Holy Tradition as well. “The holy things are for the holy!” I still remember my consternation each Sunday as a catechumen when in the Divine liturgy it was proclaimed “let every catechumen depart, let no catechumen remain!” Even though my priest assured me that this was not enforced in our present time, it stood as a powerful reminder that even as a catechumen, there were still depths of the faith that I was not yet ready to receive. If this is true for catechumens, those who have been received by the Church to form in discipleship, how much the more to those who are yet in darkness? Those who have yet to believe on our Lord. Perhaps even those who have believed on Him in error or through abusive systems that have perverted their view. Should we immerse them at once in the mysteries? It would seem that our sacred tradition teaches us otherwise. No, I think your admonition and reproof here, Father, is aligned with both the witness of Holy Scripture and Tradition. To preach Christ first is prudent and wise. Because the life of the Church is for those who have been brought into the Church. The Holy things are for the Holy.